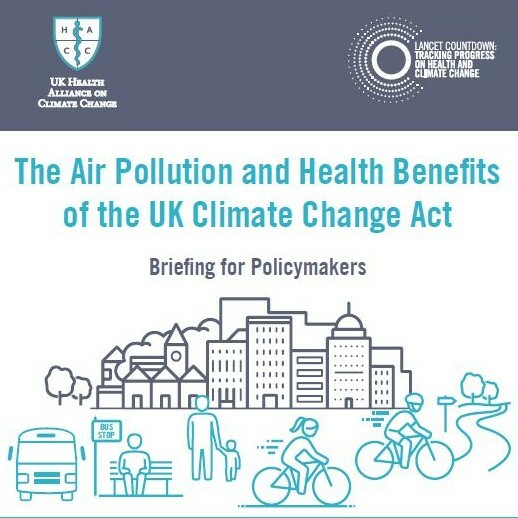 New analysis published in The Lancet Planetary Health today shows that meeting the UK’s Climate Change Act commitments could cut nitrogen dioxide (NO2) air pollution by 50-60%, contributing to improved public health and longer life expectancy. The Act requires the UK to reduce greenhouse gas emissions by at least 80% on 1990 levels by 2050. In London, NO2 concentrations could fall by more than 50% by 2050. Significant particulate matter (PM2.5) reductions across the country are also expected by the study. Currently, around 29,000 premature deaths in the UK are associated with exposure to small particulate air pollution caused by wide range of sources, including for example road transport. 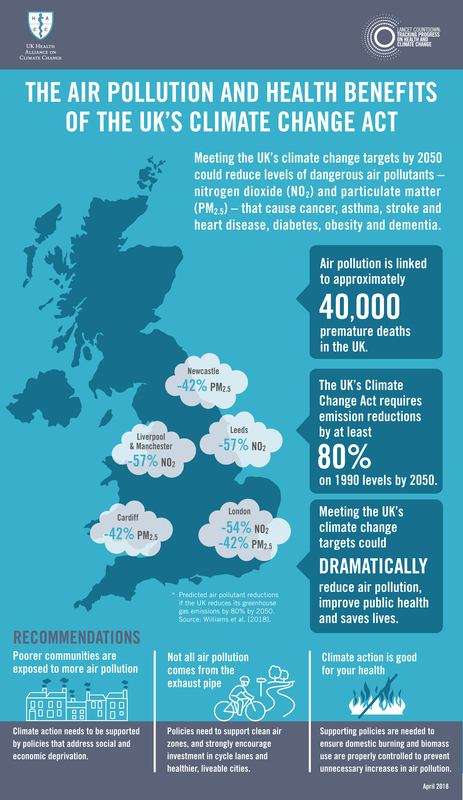 Therefore, meeting the targets of the UK Climate Change Act could deliver significant health benefits. Liverpool, Leeds and Manchester, which could benefit from a 57% reduction in NO2 in the same scenario. Read the Lancet Countdown Case Study here. Read the Policy Briefing by the Lancet Countdown and the UK Health Alliance on Climate Change here.